WHAT'S TRENDING IN FOOD RETAIL? 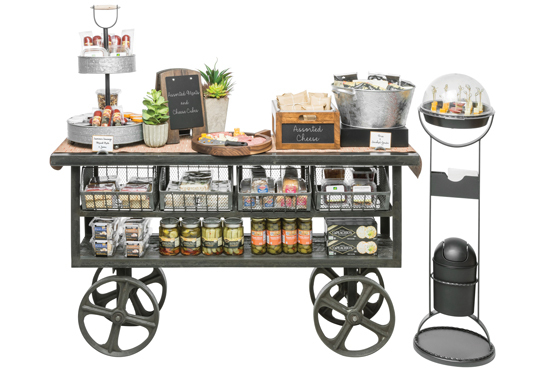 Our Expressly Hubert line will allow you to build your deli case display for under $1000! The unique designs provide one-of-a-kind style that can attract attention and increase sales. 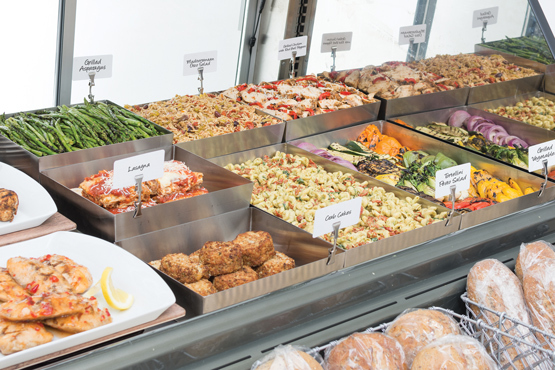 Grocery stores are expanding their culinary horizons by providing more diverse ready-to-eat offerings for one-stop-shop positioning. 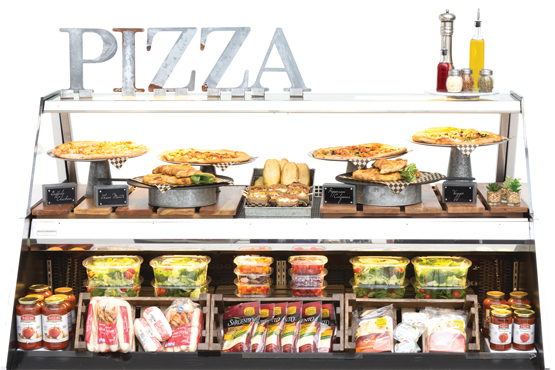 Tap into the growing segment of shoppers looking for easy on-the-go snacking and entertaining with ready-made pies or build-your own pizzas. 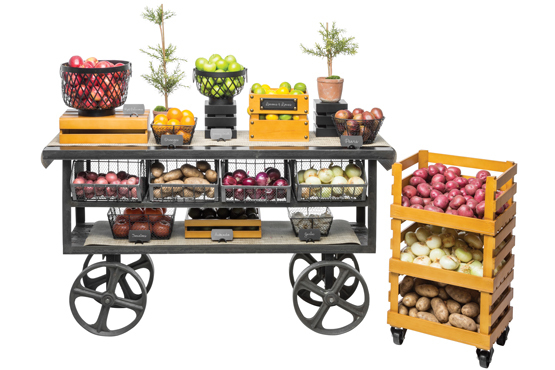 Who doesn't love a well-done farm-style display? 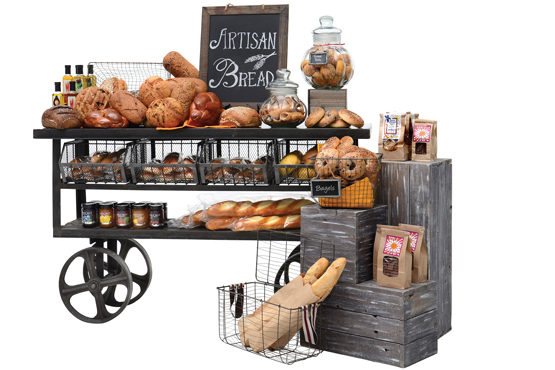 Rustic items like crates, baskets and galvanized pedestals add a quaint country charm to any food retail environment. The fixtures are a brilliant selling tool no matter what you are showcasing. By creating destinations throughout your store, you can generate excitement and give shoppers something to look forward to. Use mobile fixtures that appeal to a wide range of shoppers to turn a traditional shopping trip into a shopping journey. Grocery stores are catching on to the cold-brewed coffee excitement! A growing number of shoppers are savoring the smoother, less acidic alternative to energy drinks. 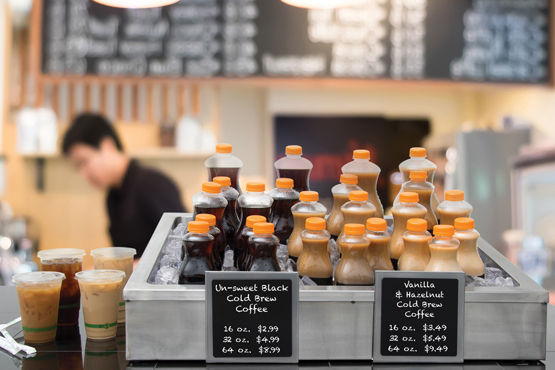 The surge of interest has motivated store owners to create cold-brew coffee stations to lure in consumers craving the ice-cold refreshment and jolt of energy. When it comes to tasting events, beer is the new wine. Beer tasting is a great way to excite customers and convince them to try something new. Most importantly, it can increase sales! Not only are you hosting a fun event, but youâÂ?Â?re hopefully introducing customers to new beers they'll love and want to come back and buy again. 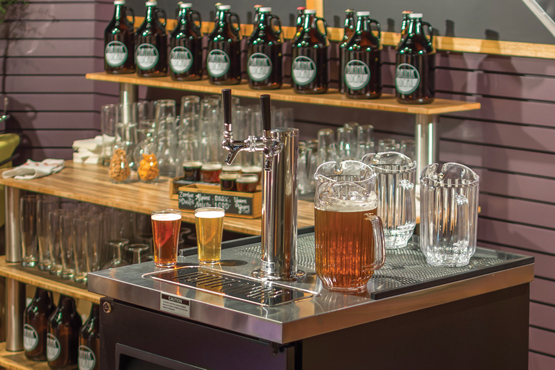 Our flights, pints and growlers offer everything you need to serve your samples in style. 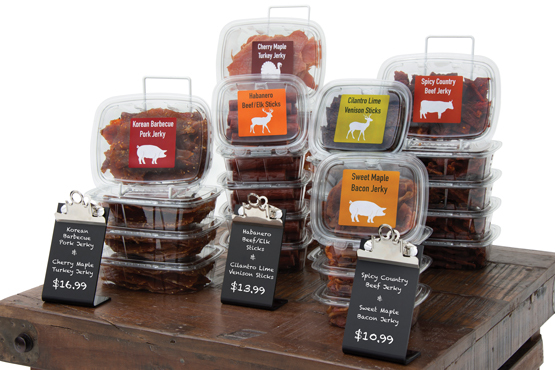 Gourmet jerky is the hottest snack in America right now. In the midst of a national obsession for all things protein, more stores are lining their shelves with the age-old cuisine of dried meats. The opportunity to discover new flavors appeals to millennials and foodies from any generation. We have everything you need to create a prominent jerky display that speaks to todayâÂ?Â?s busy consumer craving protein "to go". Gourmet cupcakes have dominated consumer interest in recent years. 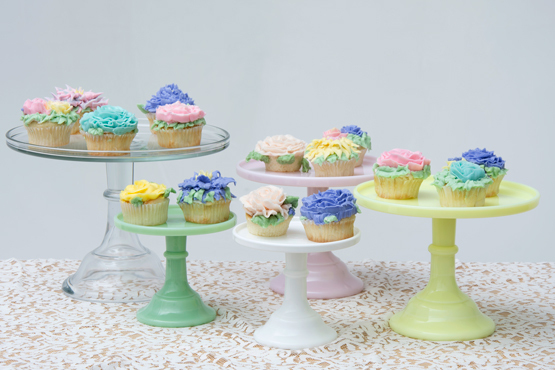 Topping them off with intricately piped floral designs provides a sweet treat for the eyes as well as taste buds. Fondant, dressed up with watercolors or molded into three-dimensional shapes, is also showing up in creative bakeries. With entertaining being a big driver of consumer spending, high-end charcuterie is poised to be a major growth opportunity for stores. Impress shoppers with a sophisticated, put-together charcuterie case complete with cheese and meat selections, wine pairings and suggestions for incorporating seasonal ingredients to make a winning charcuterie board for any time of year. The juice bar business is booming thanks to the increasing demand for tasty, yet nutritious beverages for health-conscious consumers. Fruit juices are not only packed with fewer calories, they are also filled with vitamins that are beneficial to the body. 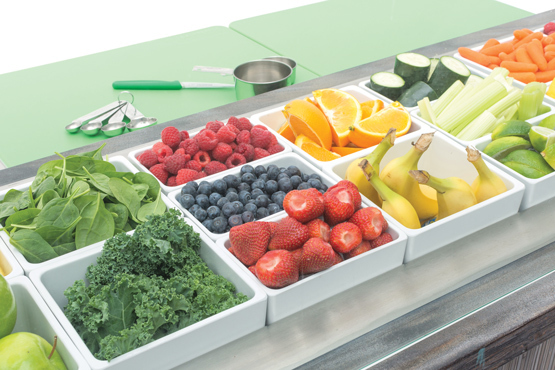 Encourage impulse-driven sales by creating a juice bar that customers will want to visit again and again. Shoppers will love the hands-on process and being able to experiment with different combinations. 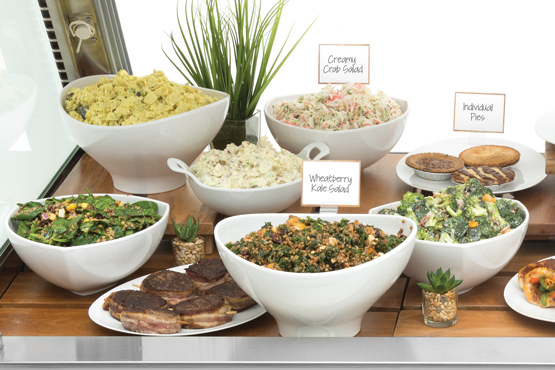 Food displayed in a farm-to-table context is viewed as fresher, healthier and even worth more. 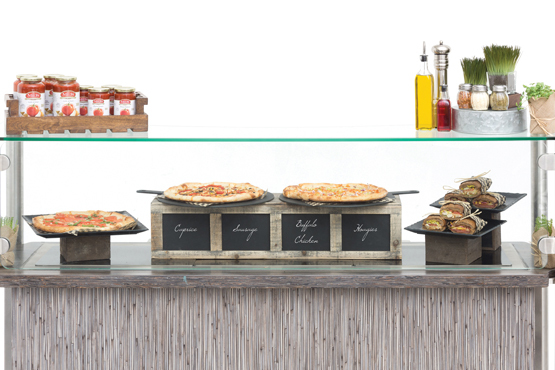 A little creative merchandising can have a huge impact on the perceived value of menu options. 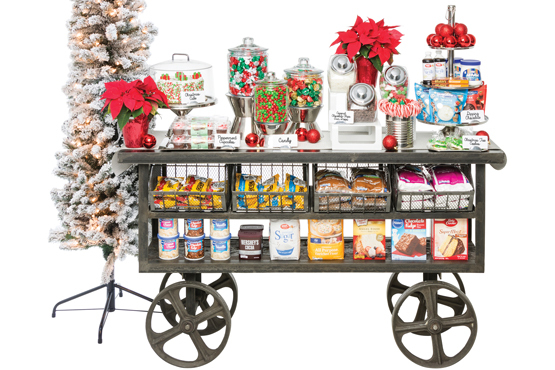 Using materials like galvanized tin and wooden crates can upgrade the appearance of your food and inspire shoppers to try new flavors and meal combinations. 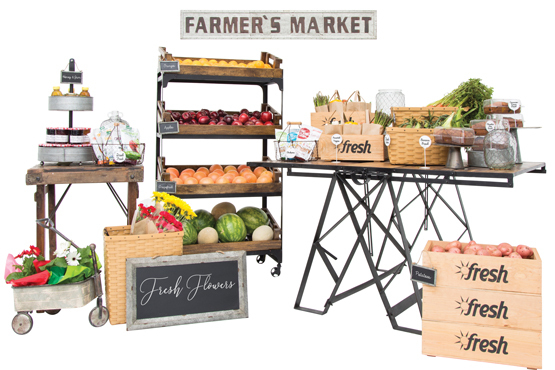 Action stations play an important role in attracting and engaging shoppers. 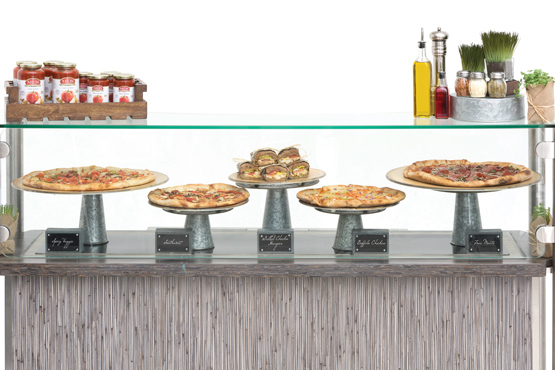 Customers can co-create and experience the fun of designing their own customizable dishes. 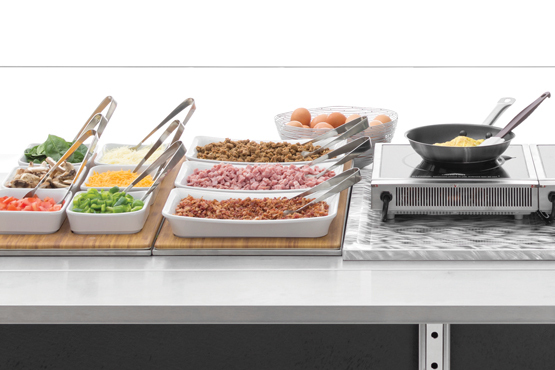 Combine the power of induction cooking with simple displayware that lets your fresh ingredient options stand out. 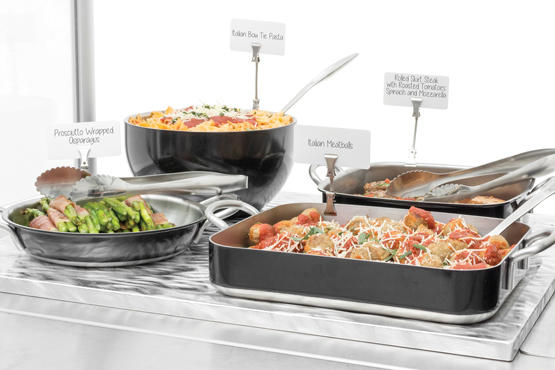 Fresh made-to-order salad stations are replacing heavily processed meals. Ordering a customized dish and watching it prepared before their eyes appeals to the desire to feel unique and special. Younger generations also need transparency, so the ability to pick and choose the ingredients in their salad is sure to satisfy. 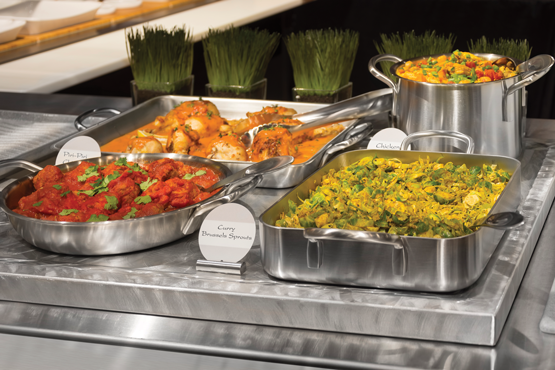 Introducing options like local vegetables or exotic spices can give them a sense of discovery. Create a destination consumers will crave for food and experience. 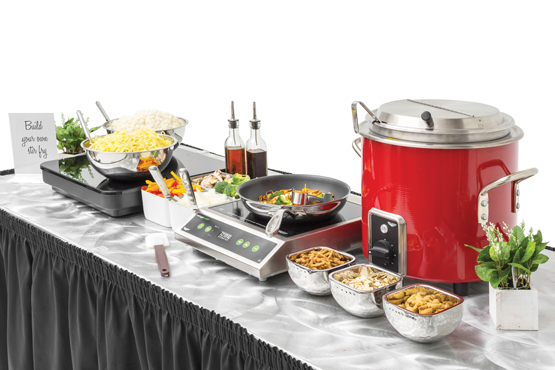 Elevated displayware set on well covers, lifts up your hot food line and provides the feel of a home-cooked meal. Meatloaf, pork chops and all the fixings sizzle, stand out and keep customers coming back for more. that's specialized to your industry. We'll help you put these trends to work.